2017 wasn’t the best reading year of my life but still, I read some amazing books! I already mentionned a couple of my honorable mentions here but, wer are finally here to discuss la crème de la crème of 2017. All of the books mentionned weren’t necesseraly published last year mind you, but I read them all in 2017. 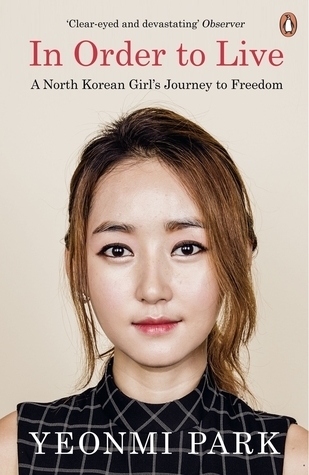 In Order to Live is the memoir of Yeonmi Park, a girl who managed to escape from North Korea when she was just a child. It follows her incredibly hard journey to freedom as she finds herself in the worst situations who could possibly imagine. It is a difficult book as it is impossible not relate to Yeonmi and to compare your confortable life the the horrors she confronted. It is a short but very impactful book and I will be re-reading this one in the future. It managed to re-shape the way I view my life. Highly recommended. Rosewater was published in 2016 and I’m afraid it was ignored by too many people. 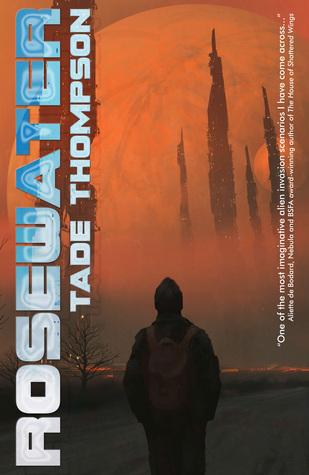 If you enjoy Nnedi Okorafor’s writing and themes, you should absolutely give a chance to Tade Thompson. After reading three of his short stories and Rosewater, I can say without a doubt that he is one of my favorite author. His works are brutal and fascinating and his protagonists feel incredibly real (even if most of them are assholes) and very relatable. Rosewater follows the aftermath of an alien invasion in Nigeria and it is a raw tale of survival and discoveries. If you are looking for a challenging read, give this book a try you won’t be disappointed. Aaaah this book is everything I wanted it to be and more. The third and final book in the Broken Earth trilogy was simply an astounding conclusion to a phenomenal series. I was a bit disappointed with The Obelisk Gate so I was afraid about this the ending but, wow, I don’t have words. Just go read it if you haven’t already. This one I didn’t expect to love as much as I did. I don’t read a lot of historical fiction and even if I knew it had speculative elements, I was afraid it was going to be too serious and hard for me. However, since it was nominated for the Clarke (and it won! ), I read it as a work of SF. If you didn’t want to pick it up because it’s “not science fictioney enough”, you might be surprised by how much the speculative elements are necessary to tell the story. I mean, you surely have read a couple of books marketed as SF that could have happened in a contemporary setting and without any real important impact on the story, well, it isn’t the case here. Whitehead didn’t use speculative fiction as a gimmick but because it was an important tool to show his point. So yeah this book won the Pulitzer and the Clarke and it deserves both. Fun fact, I offered a copy of this book to my father who loved it then my mom read it and loved it and bought a copy to my aunt who is currently reading it and loving it. I’m a bit jalous of my dad who had the chance to meet Colson Whitehead and have his copy dedicated! Ah this book was such a delight. I really didn’t like Aurora by KSR so I was extremely hesitant to pick it up but I loved it so much that I can’t wait to gift it to everyone in my family (yeah you can see a recurring trend here, if I love a book, I gift it to everyone!). This book is amazing and managed to appeal two of my inner geeks: the finance geek and the climate fiction geek. It was fun and challenging, a bit rambly and info-dumpy at times but just the way I enjoy it. It made me laugh several times but it also taught me a lot. It’s not a book I would recommend to everyone but it felt like it was written just for me! Okay so this one I am conflicted about. I mean I LOVED it with my whole heart but I have to admit that it is quite pretentious. I mean the style is quite off-putting and even if I get why Palmer is using it, I feel like she could find an easier way to tell her story. I can definitely see that this book has flaws and I get the mixed reviews this series is receiving BUT I just cannot not love it you know? 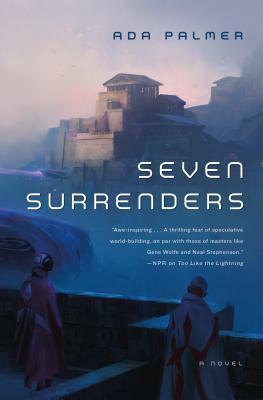 In my opinion Seven Surrenders is even more amazing than Too Like the Lightning, it made think a lot, I laughed, I cried, I gasped, I re-read some passages multiple times to try and understand what was going on. It was challenging in the best way possible and I loved it. What can I say. At this point, I am just fangirling. 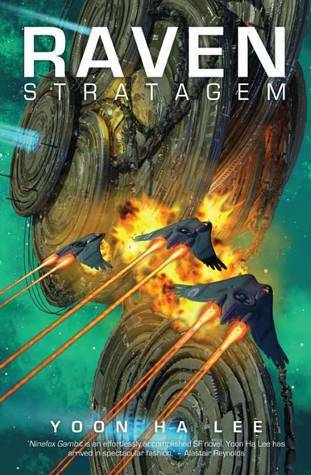 I have read some truly amazing books this year but, if I had to choose one, it would be Raven Stratagem. I read and adored Ninefox Gambit last year and I re-read it in preparation for Raven Stratagem (the re-read made me fall in love even more) but for me the sequel is even more amazing because more things happen and it is easier to follow what is actually going on. The characters, the world and the story are all complex and outstanding and I am dying to read the sequel. I have this series in every format possible, I have the eARCS, the paperbacks and also the ebooks, I mean if I have a sudden impulse to read those books at any given times, I can, I’m ready. As much as I can find flaws in almost everything I read, this book series is perfect in my eyes and I wouldn’t change a single word! Enough about me, what were your favorite books of 2017? Great list. Rosewater is a book that I meant to get to. I did read really positive things about it so I’m going to have to bump it up the list. I hope 2018 will be filled with amazing books too! I already read a couple of very good ones so I am off to a great start! 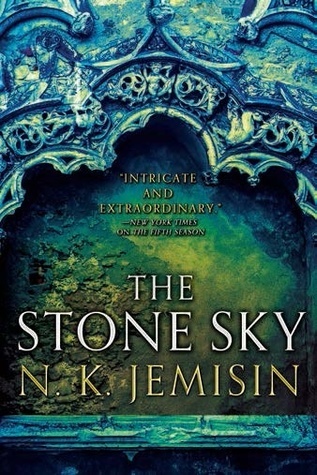 I fell so far behind in 2017 and The Stone Sky is one of the books I regret not getting to! Awesome list! There are some I really want to get to, especially the Yoon Ha Lee series. 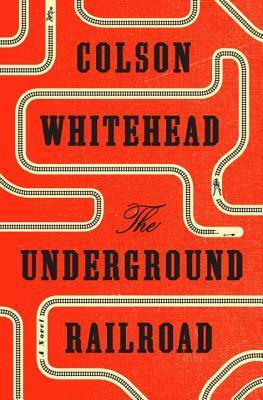 And I’m dying to read The Underground Railroad. Rosewater!! So good!! The Yoon Ha Lee series is probably one of my favorite SF series EVER, the first book is hard to get into the first time around because you have to figure out the world by yourself but it so worth it!! A lot of these are books I still want to read but haven’t yet (although I’m with you on Raven Strategem – I adore that series). 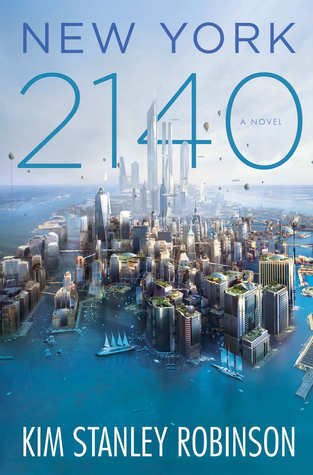 I bounced off Rosewater, but intend to give it another go – and I’ve literally just got hold of The Broken Earth and Too Like the Lightning to finally start those trilogies 😉 …you’ve intrigued me with 2140. I’ve read a few KSR’s and generally liked them – I should give this one a look. I was especially surprised by NY 2140 since I really didn’t like Aurora, I mean it is very clever but it was so depressing that I handed up actively disliking it. However, 2140 is much more optimistic and fun!